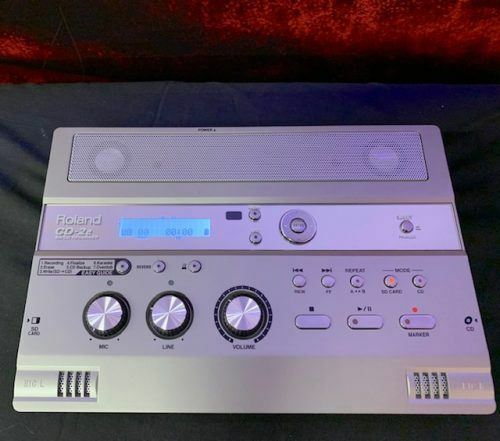 The Roland CD2e is a table top SD/CD recorder. Record to SD or CD, built in stereo microphone and speakers, and easy to use interface. This unit comes with the wireless remote, and carrying case but does not include the power supply. This unit is in good condition. 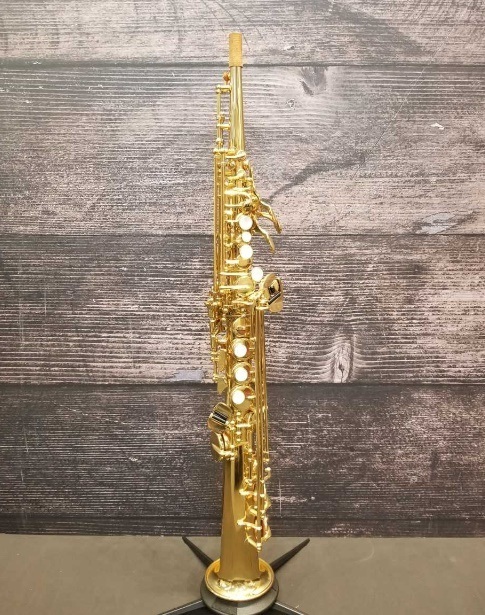 This is a great little clarinet in very good condition. It plays really well and needs no work. There are light scratches evident from use, but the plastic has no cracks. The corks are in good shape and it comes with a mouthpiece, reed guard, and original hard case. This is a student level, plastic oboe. 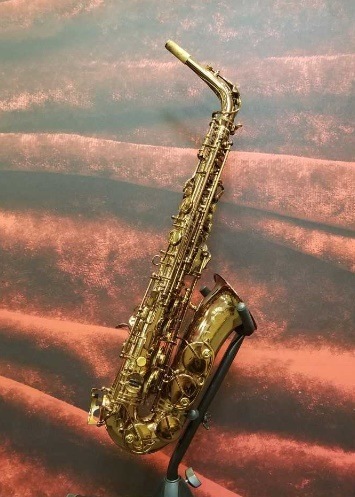 It is in great playing shape and and has been professionally shop adjusted as of April 2019. 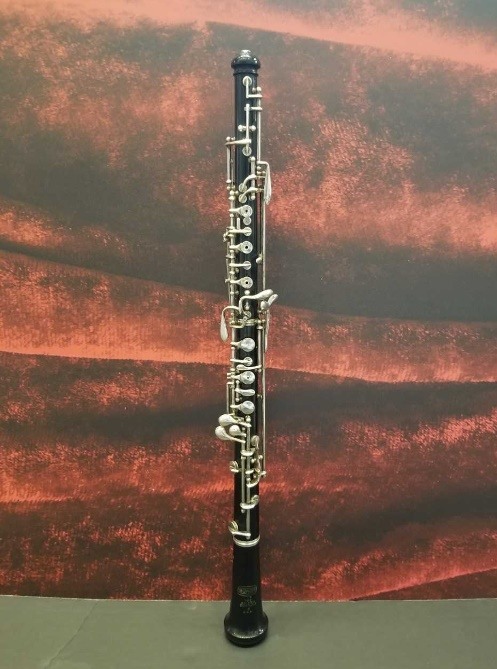 This affordable instrument is ideal for any beginning oboist and comes with the original hard case. 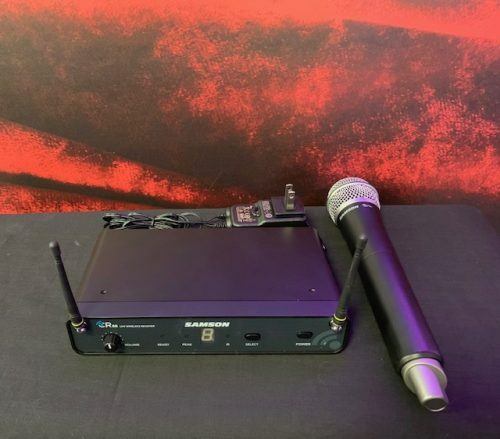 The Samson Concert 88 handheld Wireless microphone system is a UHF frequency agile (542-566) wireless system with a Q6 handheld transmitter, receiver and power supply. It features dual diversity, and balanced or unbalanced output as well as 16 frequencies to choose from. This unit is in good condition. This beautiful Orange Rockerverb 50 MKII combo amp features 2 EL34 power tubes, 4 ECC83 preamp tubes, as well as 3 ECC81 preamp tubes (2 for the reverb tank and 1 for the effects loop). 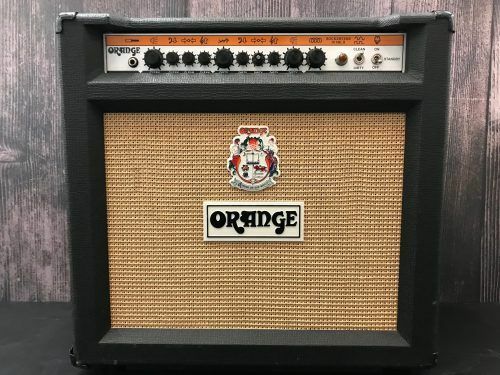 This amplifier is in good condition overall, there are some scratches and tears on the tolex as well as a scuff on the metal grate on the back. The dirty middle knob cracked, but is still functional (see pictures). 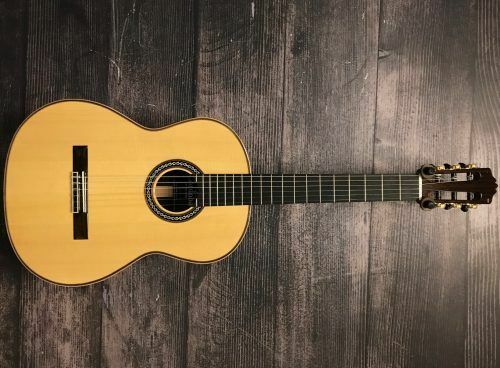 This beautiful Cordoba C12 SP/IN classical guitar features a 3 piece Rosewood/Maple back, an ebony fingerboard on a mahogany neck, and a European spruce top with a mother of pearl and ebony "esteso" weave rosette. 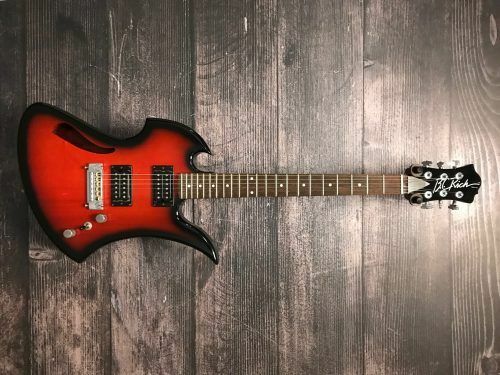 This guitar is in really good condition overall and includes a hardshell case. There is some light belt buckle rash on the back as well as some pick rash on the top. 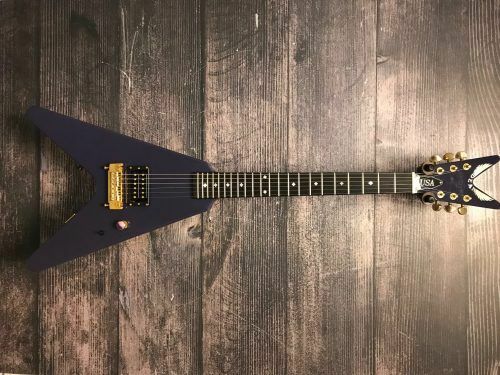 This beautiful Dean Custom Shop Baby V features a striking purple finish, an ebony fingerboard with a large "C" shape neck profile, and gold Grover tuners and wrap around bridge. This guitar is in really good condition overall, there is some light belt buckle rash on the back as well as some pick rash on the top. 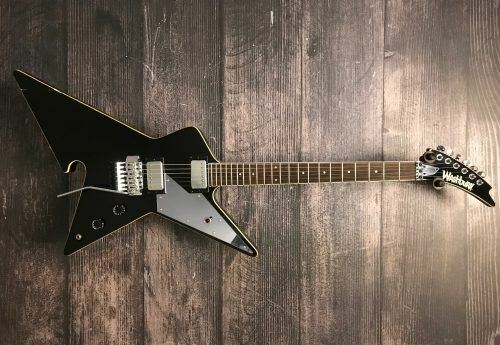 This beautiful semi hollow BC Rich Mockingbird features a slim "C" shape maple neck, upgraded Grover tuner keys, and a wrap around bridge with brass saddles. This guitar is in really good condition overall, there is some light belt buckle rash on the back as well as some pick rash on the top. The guitar comes with a hard shell case as well.